The post Banana Flax Muffins appeared first on Budget Bytes. 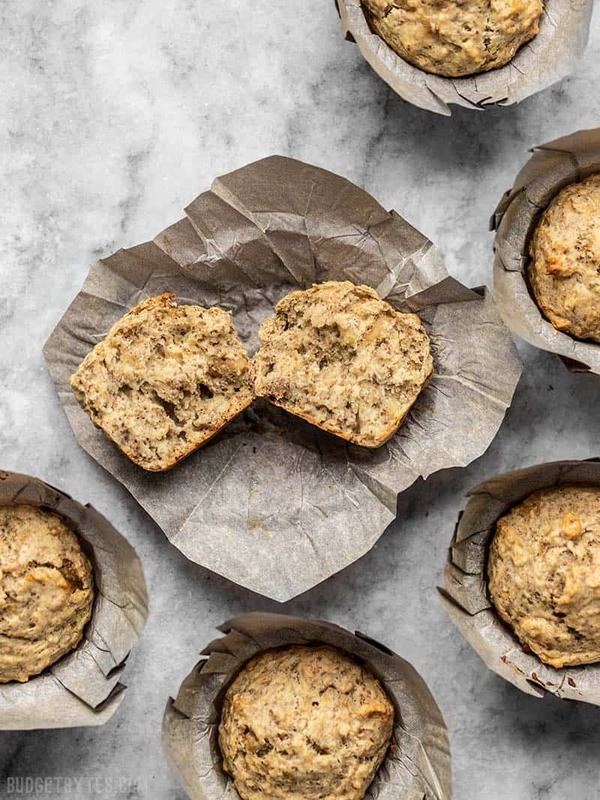 These Banana Flax Muffins are not like those giant cupcake-in-disguise muffins that you find in your local cafe. They’re a bit more reasonable, with a moderate sweetness and just the right amount of moisture. So like, if the giant cafe muffins were a pair of Louboutin stilettos that you pine after, these Banana Flax Muffins would be the cute pair of leopard print flats that you actually wear on a regular basis. Fun, but still reasonable enough for daily use.